It’s a lengthy review that goes into some detail conveying what the book is like, and the full review is now available on the Locus web site. My thanks to John Langan for giving the book his attention! 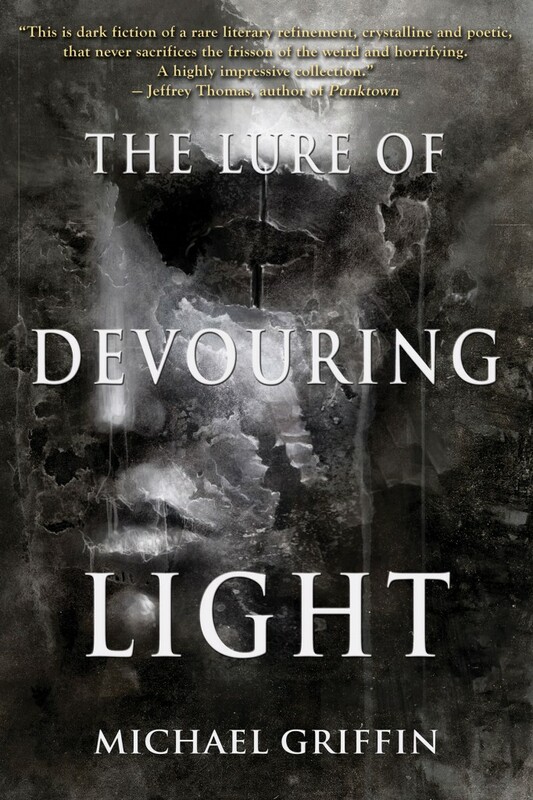 I had my first experience with Michael Griffin’s words last summer when I read his collection of novellas and short stories, The Lure of Devouring Light. It made an instant fan of me and I was something approaching ecstatic when I found out his newest work, Hieroglyphs of Blood & Bone, from Trepidatio Publishing, was headed to my mailbox. Griffin has a uniquely captivating style and a voice all his own, and every story he writes is different from the last. Even when taking on familiar themes, he approaches his subject in a singularly original way, making the familiar seem new and the new seem somehow familiar. My thanks to Shane and to HorrorTalk.com for the boost. A while back I posted a link to my video reading of chapter 1 of Hieroglyphs of Blood and Bone. I’ve now posted a video reading of chapter 2 as well. I’ll embed the two videos below, followed by links for those of you unable to see the embeds here. Chapter 3 should be available soon, probably this weekend. I intend to post one every week for a while, to give people a sample of the early part of the novel. If it’s something people enjoy, I may try video readings of other stories as well. The book can be had for purchase through Amazon and Journalstone. John Linwood Grant posted our interview on greydogtales.com yesterday. We went in some interesting directions with this set of questions and answers, discussing a number of angles I hadn’t previously addressed about my work. Mystery and confusion are aspects I enjoy generally, and particularly in this story, I felt they were important, maybe even central. I really enjoyed thinking about and responding the interview questions, and hope you’ll take a look. We spent a fair amount of time on both THE LURE OF DEVOURING LIGHT and HIEROGLYPHS OF BLOOD AND BONE. My thanks to John Linwood Grant for the interesting approach to interview questions, and the opportunity to spread the word about my work in general, and the new novel in particular. Although the word is often applied to stories of horror and terror, few weird tales can legitimately claim to be phantasmagorical—composed of real or imaginary images resembling those experienced in dreams. Michael Griffin’s Hieroglyphs of Blood and Bone is among the few… Hieroglyphs of Bone and Blood is ambitious in conception and scope. Its language is Hemingwayesque in its seemingly disarming simplicity while at the same time the perfect vehicle for telling Guy’s story. My thanks to Michael R. Collings and The Horror Review for giving their time and attention to Hieroglyphs of Blood and Bone!